Introducing Skin Heroes. 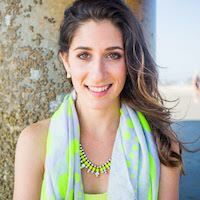 HUM Nutrition’s Director of Education, Sarah Greenfield, RD, tells us all about it. 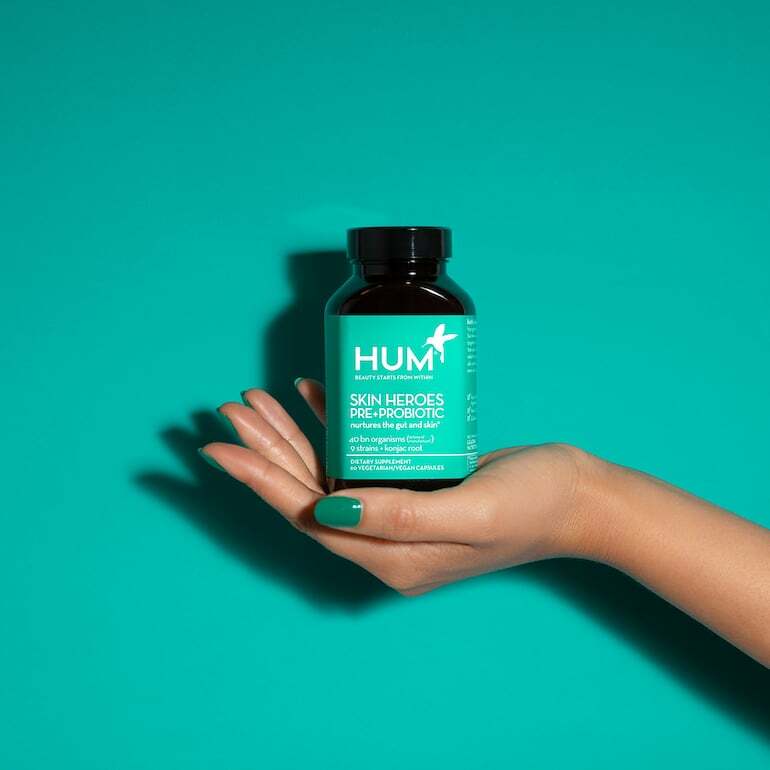 Skin Heroes is HUM Nutrition’s brand new pre and probiotic that is specially formulated to support the body’s defenses against breakouts and problematic skin. The skin and gut are connected. In fact, you can think of the skin as an extension of our gut. When there is an imbalance in the gut, it can show up in the skin. As a registered dietitian, when the gut is out of balance I most often see it present in the skin as breakouts and dry skin. Conversely, the more balanced our gut, the healthier our skin. While we already had a probiotic for general digestive and body health, we thought we could create one that spoke more specifically to skin needs. The result? A unique formula which combines the best clinically researched probiotic strains to help defend against breakouts and improve overall skin health. Probiotics are measured in CFU which is short for colony forming units. That number on a bottle tells you the number of live, active organisms in the bottle at the time of manufacture. Skin Heroes contains 40 billion colony forming units of nine different probiotic strains for a truly potent product. We used two types of bacterial strains in this product: soil-based and live-strain. One of the beneficial aspects of soil-based, or spore-forming organisms, is that they can withstand environmental changes. This means they maintain their potency and are more shelf-stable. Our spore-forming strains include Bacillus coagulans, SNZ 1969 which enhances immunity and digestion. We also include Bacillus subtilis, DE111® which helps our bodies digest problematic foods, supports gut lining, and improves regularity. Then, we included live-strain probiotics with clinical research to support their impact on skin health. To name just a few of the skin specific strains we include, there’s lactobacillus acidophilus, La-14 which can boost immunity and minimize inflammation. Also, bifidobacterium lactis, HN019 which studies show can help protect against dry skin. For a full list of the strains in Skin Heroes, click here. Unfamiliar with the difference between prebiotics and probiotics? Probiotics are the live bacteria and yeasts that live in your body and keep your gut healthy. These friendly bacteria patrol your intestines and keep your digestive system running smoothly. Prebiotics are like fuel for your probiotics. Taking them together ensures you feed the good bacteria in your body as efficiently as possible. Skin Heroes uses konjac root as our prebiotic. Konjac root not only feeds the probiotics but increases good gut bacteria while decreasing bad bacteria on its own. When it comes to probiotics you want to not only consider the formula – but also how it’s made. Our manufacturing process goes through exacting measures to ensure it’s as strong a product as possible by the time you get your hands on it. Because moisture and temperature can compromise the livelihood of probiotics, our state of the art facility uses 24/7 environmental monitoring to control temperature and humidity. The factory walls are even made with an antibacterial material to ensure no uninvited bad bacteria get in. Lab technicians perform quality checks throughout the manufacturing process and, of course, after the final product is bottled. To really put our new pre and probiotic to the test, we invited women with breakout prone skin to try it for themselves. A dermatologist oversaw the study to measure skin hydration and breakout severity. After 60 days, 88% of study participants reported a decrease in the severity of their breakouts. As a bonus, 81% reported an improvement in GI-related symptoms. Hear from the participants who participated in the study as well as from the dermatologist who oversaw it here. As with any of our products, consistent daily usage will get you the best results! Personally, I like to take probiotics at bedtime but whenever you can consistently remember to take your probiotics is great.